Architecture Awards 2010 for "Best Eco Building"
The Grigg/Roshier Solabode house in Arapeta Way, Takaka, won FIRST PLACE in this prestigious award. Visit the Grigg/Roshier page here. 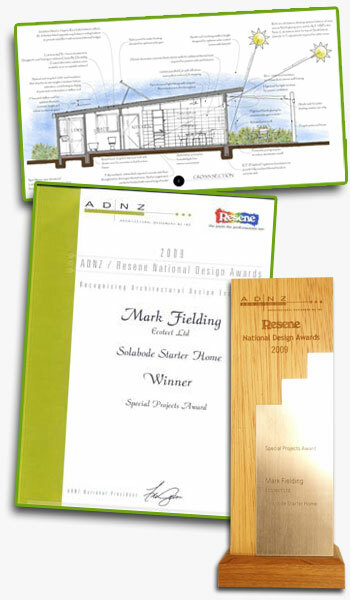 Solabode Starter Home takes out National ADNZ / Resene Special Projects Award at the ADNZ National Conference at Wairaki near Taupo. The Walker Shapiro Adobe House and the Ball House entries also took out finalist awards in the Sustainable Design Award catagory. 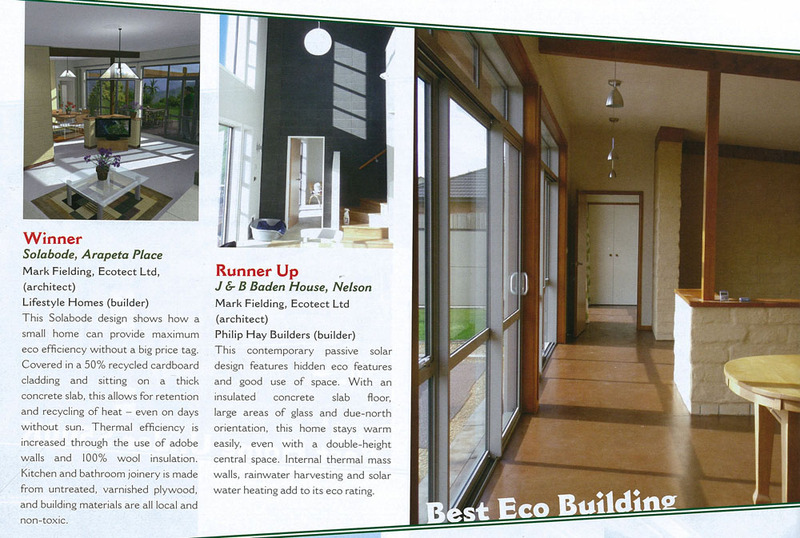 The results for the ADNZ/Resene 2009 Nelson/Marlborough Regional Design Awards are now out and we are thrilled to announce that the Solabode Starter Home has won the Special Projects Award. 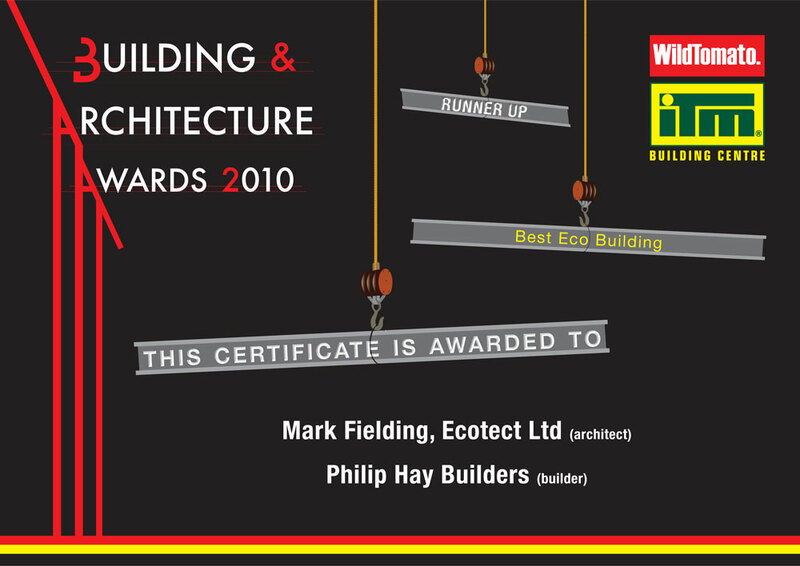 Mark Fielding of Ecotect topped the Special Projects and the Sustainable Design awards categories. The first was won for the Solabode project - a concept for a passive solar dwelling that is energy efficient, environmentally friendly and affordable, at just $150k. The second was taken for the Cooke House – a new passive solar eco house, a similarly sustainable, energy efficient project. Judge’s Citation: A concept passive solar dwelling. Thorough research combined with well thought out design and use of materials results in a very well planned, affordable, energy efficient, environmentally sustainable house. At $150k the judges all want one!